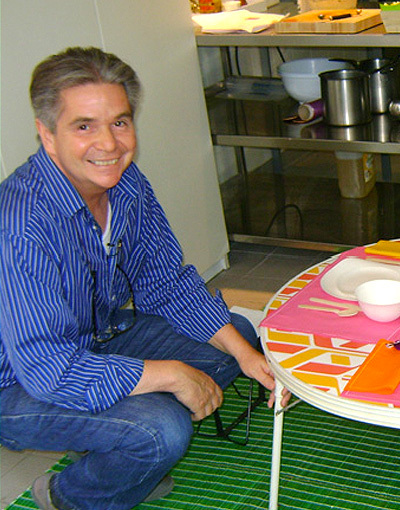 Alan Perry Réceptions is the result of a project conceived by Alan and Jorge. 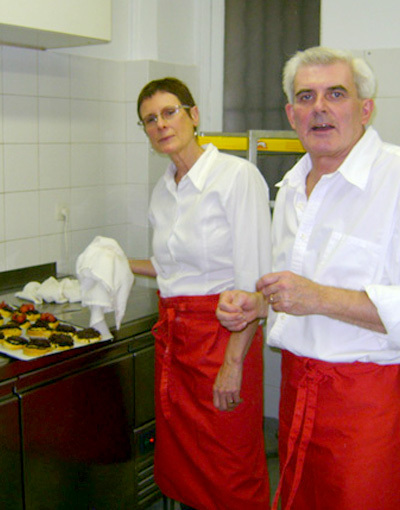 This talented duo first burst upon the culinary scene at "Perry Brothers", their immensely successful Paris restaurant. 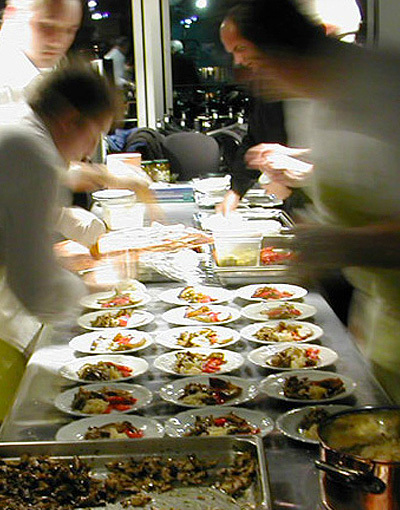 But a strong creative urge and a lust for freedom to use their talents to the full led them to the eventful world of catering. Alan Perry Réceptions was born in 1993 and went on to grow into a catering business which successfully satisfies clients great and small. Creativity, design savvy, a sense of refinement as well as excellence describe the outcome of this venture. 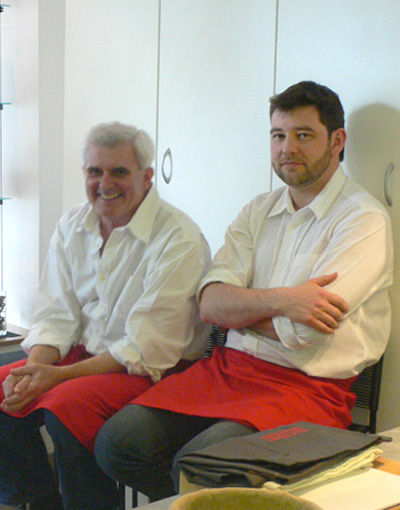 Alan was born and grew up in Wales where his family owned a retail food business named Perry Brothers since 1870. Appreciation for fine produce and good food in all its myriad forms is part of Alan's heritage and underscores his love for fine living and entertaining. Alan studied at London's St Martin's College of Art and the Bristol College of Fine Arts before going to Paris in 1973 to train at the celebrated Atelier 17 run by William Hayter. Convinced of his own talent and enamoured of the beauty of his adopted city, Alan settled down to prosper and become what he is today: A true culinary artist. In 1986, he met artist and graphic designer Jorge Luis Zelaya, and together they decided to open their own Paris restaurant, "Perry Brothers". But it was Alan Perry Réceptions, set up in 1993, that the two associates were able to create the ideal structure that at last allowed them to reinvent themselves daily and by so doing preserve their spontaneity. Jorge, like his name, has exotic antecedents. He grew up in Latin America before moving North. He studied at the San Francisco Institute of Fine Arts, where he gained an appreciation for aesthetics and design. His great passion is in reconciling the two in everyday life. In 1982, Jorge settled in Paris, working as a graphic designer, creating visual identities for clients and designing restaurant interiors. In 1986 his path crossed that of Alan Perry. A new adventure was about to begin. Today, Jorge is the main communicator for Alan Perry Réceptions. By listening carefully, he makes dreams come true! Jorge is the design master, guiding and working with the rest of the Perry team to make the most extravagant, outlandish or humble requests moments of entertainment wonder and magic! Available, welcoming, attentive, Alan Perry's team are on the alert from start to finish of a project. Their ideas and input are encouraged and listened to all along the way. This is teamwork at its best - highly productive and hugely effective! Kitchen staff are as varied as the spices they use! Team members from France, Africa, North Africa, Britain all rub elbows along with the occasional American or Asian. And of course, this pot-pourri of delicious combinations helps to turn Alan's culinary flights of fancy into tasty realities which please the eye as well as the palate! 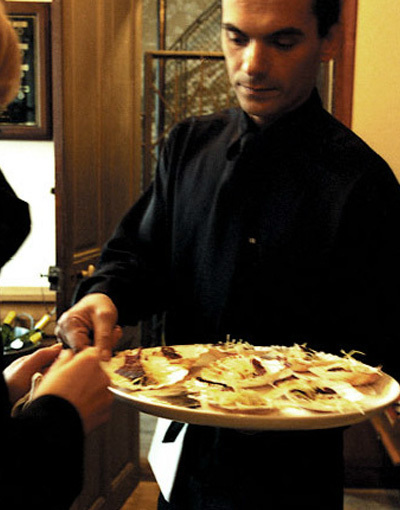 Excellent service is a must for the success of all catered events. 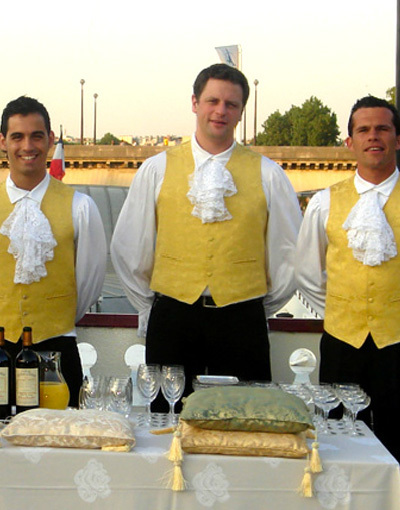 For this reason, Alan Perry Receptions has gone all out to select top-of-the-line serving staff. Elegance and quality are the hallmarks of this distinguished and professional team. Alan consults and works with a handful of dedicated experts in fine wines and alcoholic beverages to ensure a perfect marriage between food and wine for every kind of catering event. Today all these outstanding features combine to make Alan Perry Réceptions a vibrantly professional catering team, amply tried and tested and deserving of their success and notoriety.